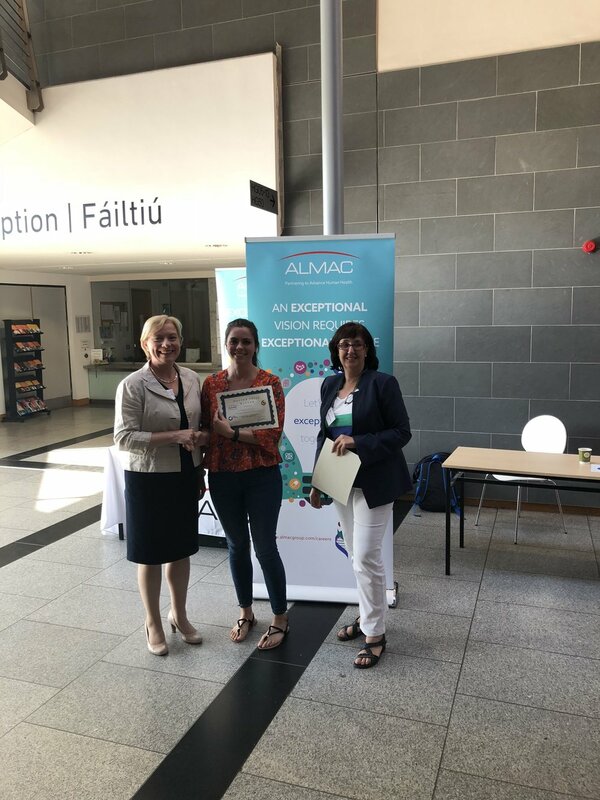 On June 29th, we hosted the II Medicinal Chemistry Ireland Conference at DCU. This successful event brought together excellent researchers from medicinal and pharmaceutical chemistry backgrounds. The event was attended by researchers from both academia and industry as well as graduate, post-graduate and postdoctoral fellows. 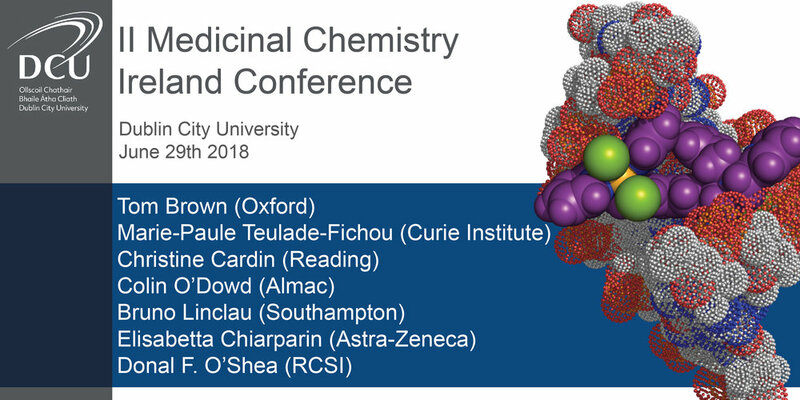 Keynote speakers on the day included Prof Tom Brown (University of Oxford), Prof Marie-Paule Teulade-Fichou (Curie Institute), Prof Christine Cardin (University of Reading), Dr Colin O’Dowd (Almac), Prof Bruno Linclau (University of Southampton), Dr Elisabetta Chiarparin (Astra-Zeneca) and Prof Donal O’Shea (Royal College of Surgeons Ireland). 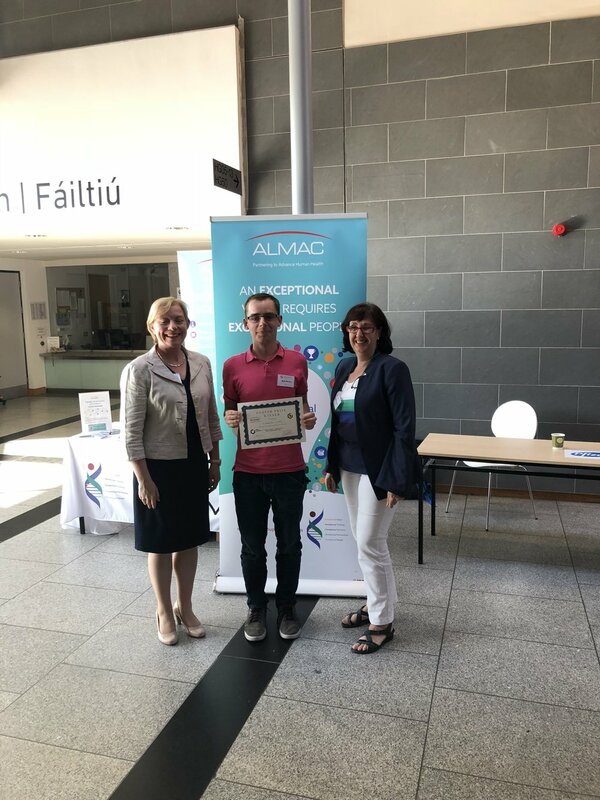 Awards for postgraduate and postdoctoral researchers who presented posters on the day went to Mark Berney (TCD) and Christopher Burke (DCU). Thanks to all involved on the Organising Committee for making the day such a success!